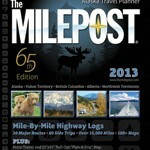 This series of guidebooks from Lonely Planet will steer you to some of the best roads trips in the country. 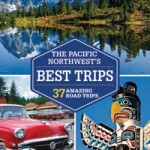 Updated versions this year include California’s Best Trips and The Pacific Northwest’s Best Trips. 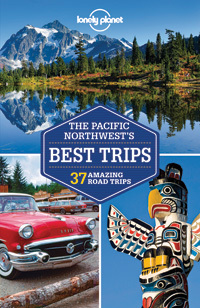 Lonely Planet stretches the definition of Pacific Northwest to include not only Washington and Oregon, but also British Columbia in this 368-page volume. 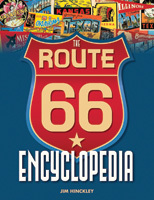 The book gives detailed information on more than 30 road trips including eight designated as classics. 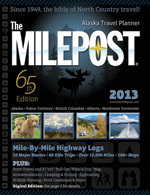 Maps define the routes, and photos illustrate what you will see. Most of the road trips would take two to five days. The longest in the Pacific Northwest is a one-week trip along the Oregon coast. 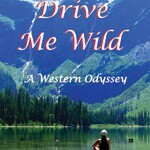 The authors describe the highlights of each trip and recommend places to eat and sleep. 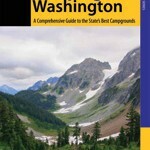 Although a few campgrounds are included in the recommendations, this book is not where an RVer would turn to find a place to camp. 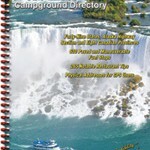 But it’s a good guide for RVers or anyone looking for interesting places to travel. Ever since Lewis and Clark’s Corps of Discovery traveled from St. Louis to the Oregon coast 200 years ago, travelers have been chronicling their cross-country trips. A few of these tales like John Steinbeck’s Travels with Charley and William Least Heat-Moon’s Blue Highways have become classics. 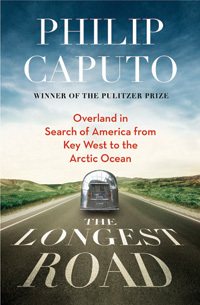 The Longest Road by Philip Caputo is at that level—engaging, lively and revealing. 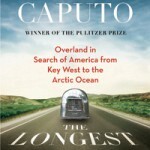 Caputo, a Pulitzer Prize winner best known for his memoir from the Vietnam War, A Rumor of War, traveled from Key West, Florida, to Prudhoe Bay, Alaska, in 2011, talking to people to find out what holds America together at a time of extreme polarization in politics and attitudes. 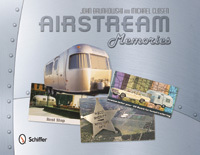 John Brunkowski and Michael Closen are Airstream aficionados who have amassed a large collection of Airstream memorabilia that they share in this unusual book. The memorabilia include postcards, brochures, advertisements and book and magazine covers. 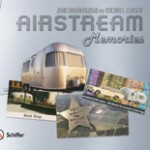 By looking through this collection, you can see how Airstream became an American icon over the years. Whenever an auto manufacturer wanted to show a car or truck pulling a travel trailer, the choice was always an Airstream. Thus, in this collection we have ads with Airstreams being pulled by a Jeep in 1965 and 1974, Buicks in 1966 and 1970, a Chrysler in 1971, Dodges in 1972 and 2002, Chevrolets in 1973 and 1984, a Pontiac in 1978, and GMC trucks in 1984, 1988 and 1991. And the collection also includes a famous postcard from 1947 that shows an Airstream being towed by a bicycle. 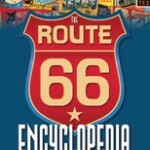 There have been countless books written about Route 66, the road that connected Chicago with Los Angeles before the birth of the interstate highway system, but this may be the most comprehensive. It is an alphabetical listing of all the towns, personalities, cafes, curio shops, motels and other landmarks associated with the historic highway. This is a big coffee table kind of book with more than 1,000 illustrations, including both historic and modern day photos. 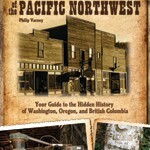 Flip through the pages, and no matter where you land, you will find an intriguing photo or two and fascinating lore. Did Steve McQueen do his own stunt driving? What happened to the Porsche that James Dean drove to his death? Did a monkey win a NASCAR race? You’ll find the answers to these and other questions in this entertaining effort to uncover facts to confirm or refute legends and rumors involving automobiles. The authors are Matt Stone, former executive editor of Motor Trend, and Preston Lerner who has written about motorsports for Sports Illustrated and the New York Times Magazine. In her book subtitled “A Western Odyssey,” author Christina Nealson recounts how she and her husband sold their house in Taos, New Mexico, divested themselves of nearly all their possessions and crisscrossed the West, from British Columbia to Baja California. 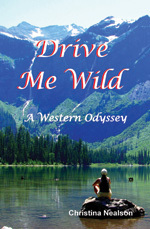 It’s a New Age sort of odyssey by a woman in her 50s who prizes solitude and introspection, enjoys the company of like-minded friends, and is wonderfully descriptive about her days hiking in forests and strolling on beaches. There are encounters with mountain lions, bears, sea turtles and whales.